Many couples choose to take their big day across the pond and celebrate in style in a different country. It may be that they want to a beautiful beach wedding and crave the warm weather, it might be that they want to return home to where they were born, or it may be that a certain destination holds a special place in their heart. This was the case for one couple, but they weren’t content with any old wedding. They took over a whole town in Italy for their medieval wedding! Of course, we can’t talk about a stunning wedding without learning a little more about the couple in question. Jessica Hagy and Kyle Lopez hail from Los Angeles and knew that they were meant to be together. 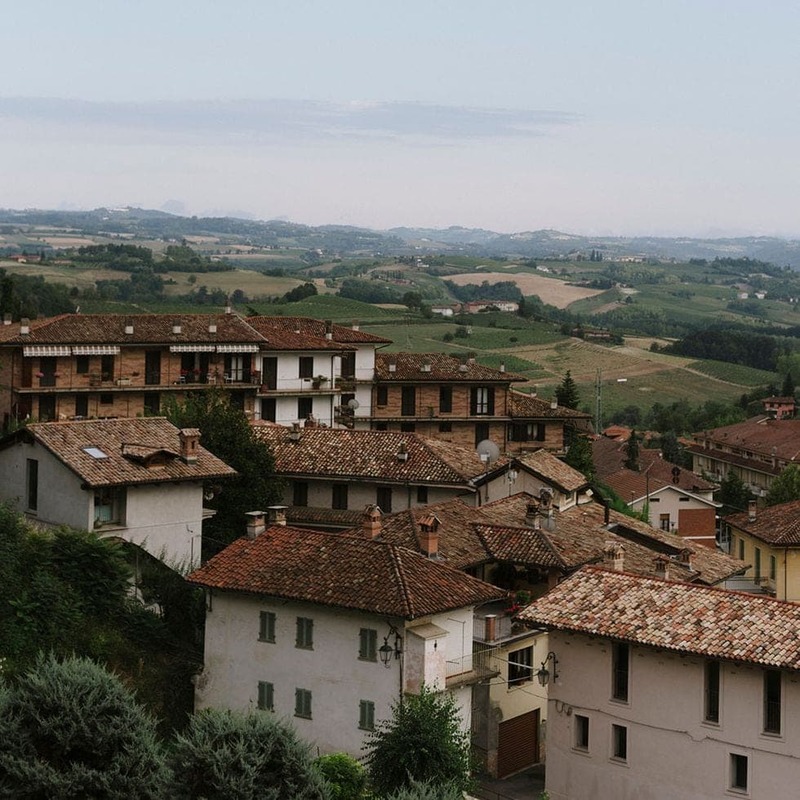 Their whirlwind romance took them on a loved-up adventure, and after just eight months as a couple, they decided to take a trip to see Kyle’s parents in their second home in Monforte d’Alba, Italy. 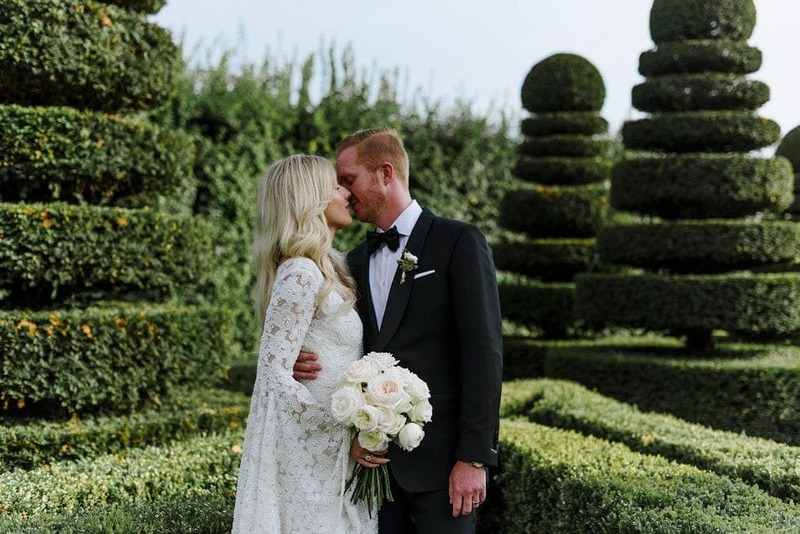 They experienced the vineyards, the beautiful courtyards, the cobbled streets and the rustic charm of a traditional Italian town, and they knew it would be the perfect wedding location for them. However, Jessica and Kyle didn’t want to fly all of their friends and family across the country for a single day. So, they decided to book festivities for a whole week and took over the whole town in the process. They wanted to take the town’s medieval heritage and incorporate it into their big day, so they spread the festivities across various locations within the town. They experienced all of the beautiful restaurants, they tried the local wine, and they even had a five-course rehearsal dinner. As a woman of fine taste, Jessica is on the list of designer media lists, which means that she gets a sneak peek of new designs before they are released to the public. When she saw the “Juliet” dress within the Odylyne the Ceremony collection, she knew it was the one for her. She wore this for the wedding, that took place in the stunning Castello di Guarene, and 18th-century castle with impressive grounds. There’s no doubt about the fact that this wedding is absolutely stunning.